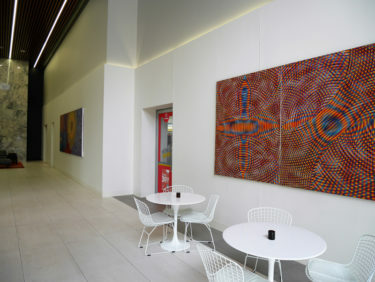 John Aslanidis paintings rented to 580 St Kilda Rd, Melbourne. 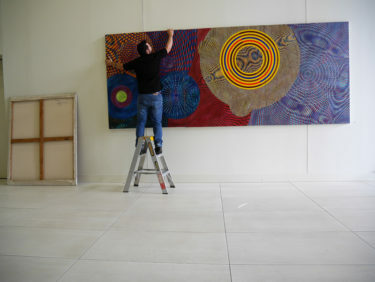 We utilised the skills of art installation expert, Tom Ellis from Ellis Art Installation, to hang these large artworks. 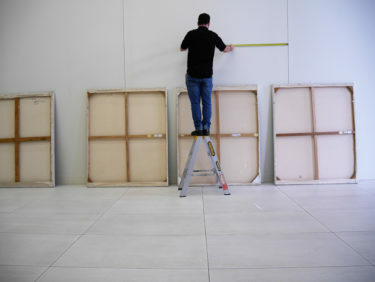 Hanging paintings may look easy, but we can assure you there is a lot in it and if you don’t know what you are doing, not only do you run the danger of damaging expensive artworks, you can also damage a client’s walls as well as hang the works out of alignment. We worked with Tom and was impressed by his care and expertise in getting John’s paintings perfectly aligned at the right height and also securely fastened to the wall. 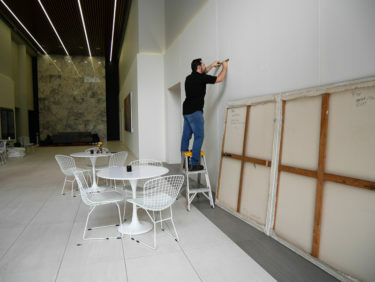 Tom also uses ‘lockable’ fixtures to ensure that the artwork cannot be removed by the wrong person. 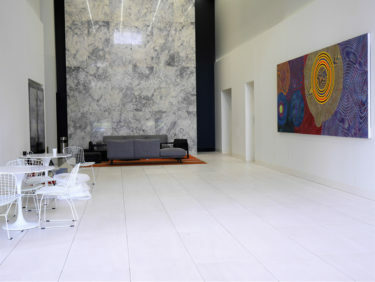 The end result looks magnificent and is another example of a business being transformed by hiring paintings from Corporate Art Rentals. 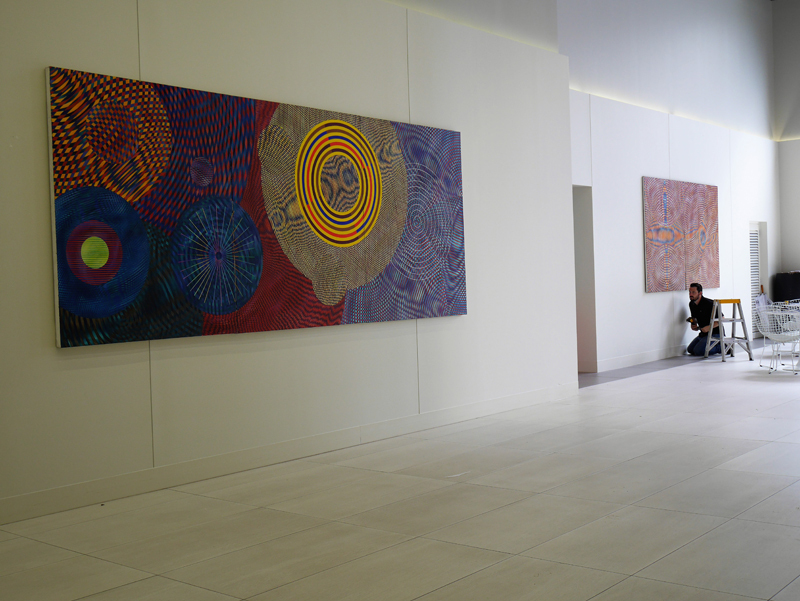 New archival prints by artist Merryn Trevethan finish off new offices at 120 Collins St, Melbourne.